If you’re in the market for a new website or trying to update your current web presence, you’ve probably come across the term ‘Responsive Website’ many times but may not understand what it means. The short answer is that a responsive website enables the content to be displayed correctly on the screen of a desktop computer, laptop, tablet and mobile automatically. Many web design companies offer varying levels of responsive design when building a website, and some don’t support the standards required for a fully responsive website. This post will hopefully answer in more detail what responsive design can do for your content and why your website absolutely needs to be responsive in this day and age. Have you ever visited a website on your phone and thought “that doesn’t look right”? It is especially noticeable if you have viewed the same site on your laptop and then compared it to the mobile version. You may need to scroll horizontally to read text, or zoom in to tap on a tiny link. Images will be pushed off the side of the screen and everything in general is just difficult to use and uneasy on the eyes. What you were seeing was a website that was built without mobile devices in mind. It was made to be viewed only on a large screen such as a laptop or desktop PC, and does not have the required coding and logic in the background to display properly on anything else. A responsive website will automatically change font sizes to be readable on a smaller screen. It will make sure buttons and links are large enough to press with your finger rather than a mouse cursor. Images will be resized accordingly, the entire menu structure will be changed and certain items may be hidden or shown depending on what is most important to the user. But the critical thing is that the essence of the website; the branding and feel; will stay the same. Viewers know they’re still on the same website, but will have a user experience that was designed for the device they are currently using. Why should my site be responsive? In Australia alone, there are almost 20 million mobile phones currently in use – and that number is constantly growing by the day. Globally there are more than 4 billion owners of mobile phones, and as of November 2018 around 50% of all web page views come from a mobile device. Looking at these statistics, you can see why it is important that you can reach your customers through their mobile devices. But reaching them through their phone or tablet is one thing. Reaching them in a way that makes sense and doesn’t scare them away from your business and into the hands of your competitors is a different matter. Google Analytics data shows that non-responsive websites will cause an incredibly high bounce-rate (when a user visits your website and immediately leaves instead of browsing your content). 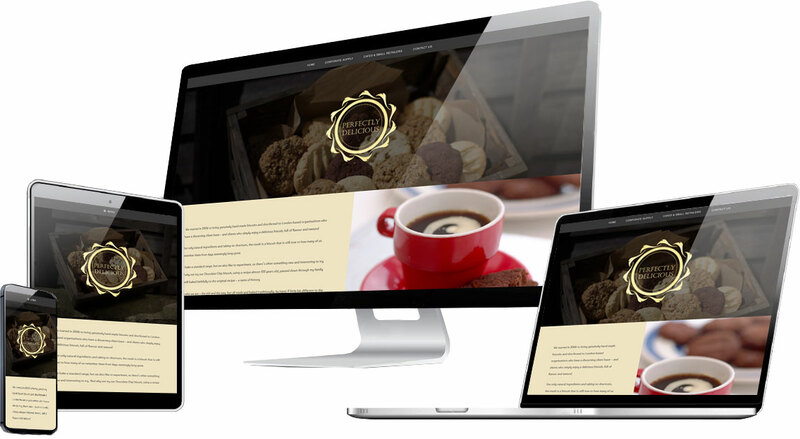 If you’re reading this and wondering if your current website is responsive or not – get in touch! We can immediately identify issues on multiple devices and will be able to turn your website into a fully responsive experience. If you’d like to discuss building a brand new website and would like to follow the advice in this article, contact us for your free quote today! We’re dedicated to bringing responsive web design to everybody.